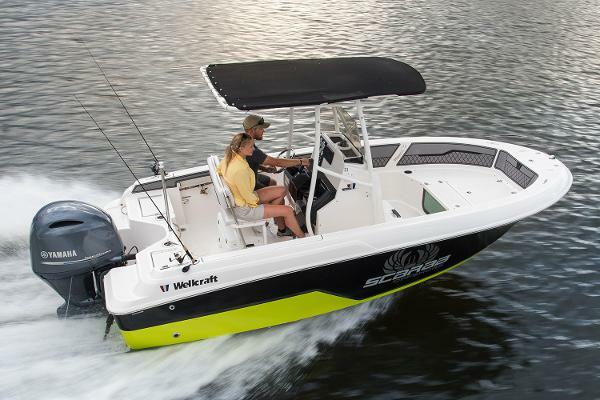 The Wellcraft 182 Fisherman signifies everything you aspire to be as a family oriented fisherman. The stylish bow flare and high free board keeps you and your crew safe, dry and comfortable when you're on the hunt. With more than enough space on deck for seating comforts, storage, and 360° casting you'll never feel over encumbered on-board. Up front, an innovative, aquarium style live well nests into the casting platform just behind wet storage and a large anchor locker. 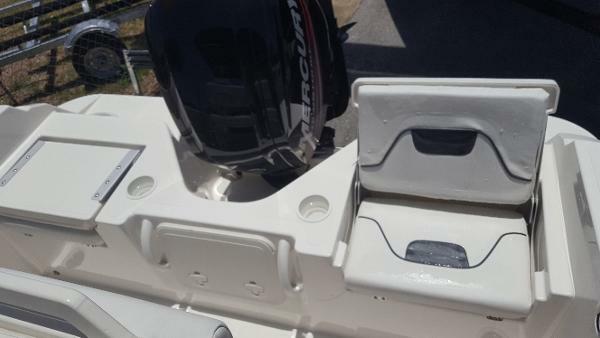 A vertical opening head compartment, typically reserved for larger models, is molded into the center console; essential for on-board rest breaks and advanced excursions. Two cushioned jump seats, aft the helm, make for great seating when deployed alongside expanding the stern casting platform when concealed. Conscious design focused directly on the needs of the family fisherman birthed the 182F and its standard trailer. 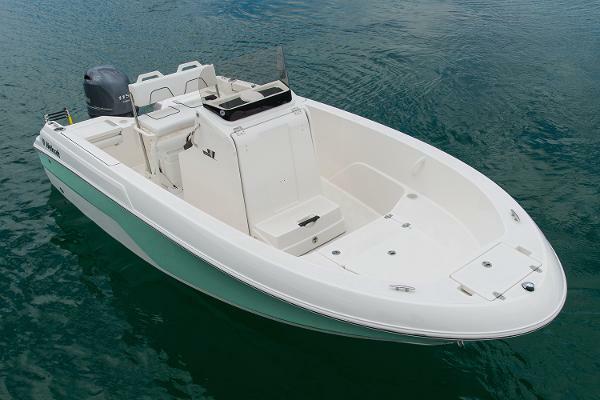 With the 182F you're certainly equipped for devoted fishing tactics and more than fit for cruising and lounging. 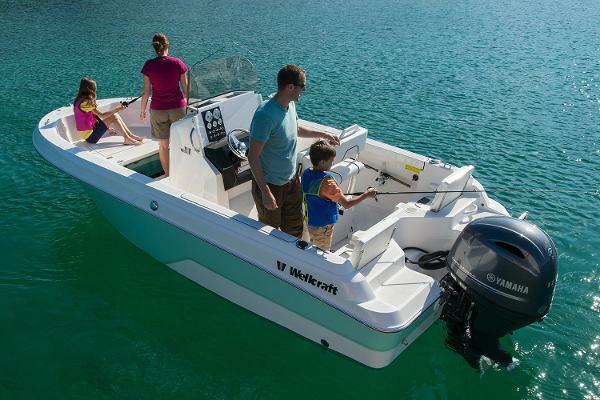 Wellcraft 18ft Center Console The Wellcraft 182 Fisherman signifies everything you aspire to be as a family oriented fisherman. The stylish bow flare and high freeboard keeps you and your crew safe, dry and comfortable when you're on the hunt. With more than enough space on deck for seating comforts, storage, and 360° casting you'll never feel over encumbered onboard. Up front, an innovative, aquarium style live well nests into the casting platform just behind wet storage and a large anchor locker. 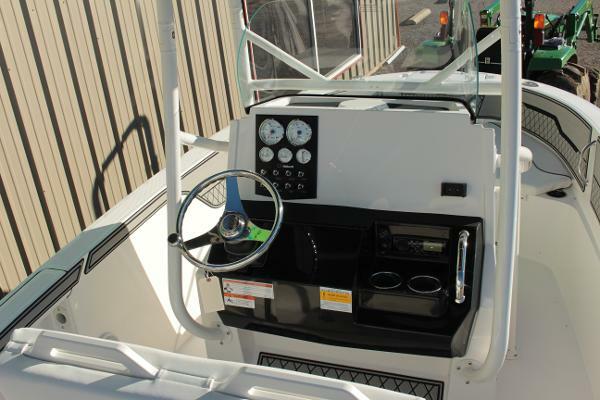 A vertical opening head compartment, typically reserved for larger models, is molded into the center console; essential for onboard rest breaks and advanced excursions. Two cushioned jump seats, aft the helm, make for great seating when deployed alongside expanding the stern casting platform when concealed. Conscious design focused directly on the needs of the family fisherman birthed the 182F and its standard trailer. With the 182F you're certainly equipped for devoted fishing tactics and more than fit for cruising and lounging. Standard Features: Windscreen Console SST Bow and Stern Eyes Navigation Lighting Rub Rail Rod Holder Gunnel Mount Boarding Ladder Rod Storage Gunnel Bait/Livewell Leaning Post W/ Backrest Self Bailing Cockpit Battery Tray Auto Bilge Pump Courtesy Lighting Options We Packaged Our Boat With: Tri-tone Gel Coat Black/ White/ Black Stainless Steel Upgrade Stereo System Bow Seating Package Cooler Single Battery Switch Road King Single Axle Alum Trailer Price includes all factory freight, dealer make ready costs. 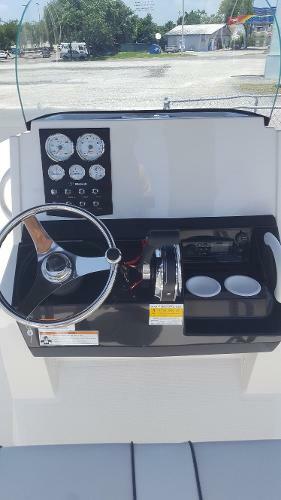 All our new boats come with: * A Full Tank of fuel * $500 Ship Store Credit for Outfitting * One Year Gold Sea Tow membership. 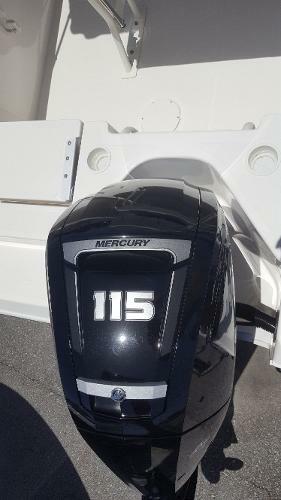 This boat is on display at Mount Dora Boating Center a full service dealership and marina located in Central Florida, 25 miles North West of Orlando on the Harris Chain of Lakes. We’ve been in business over 40 years in the same location as Central Florida's largest full service marine center and a Marine Industry Certified Dealership. 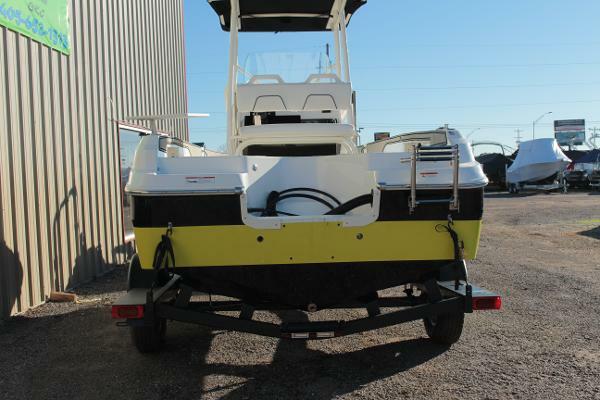 MDBC is a one stop shop for all your boating needs. Our services include sales of new & used boats, dock space rental, on water & dry boat storage, technical mechanical service, boat & trailer maintenance services, Fiberglass maintenance & repair, Boating skills training, boat rental. Mount Dora Boating Center & Marina….Where Boating Begins! 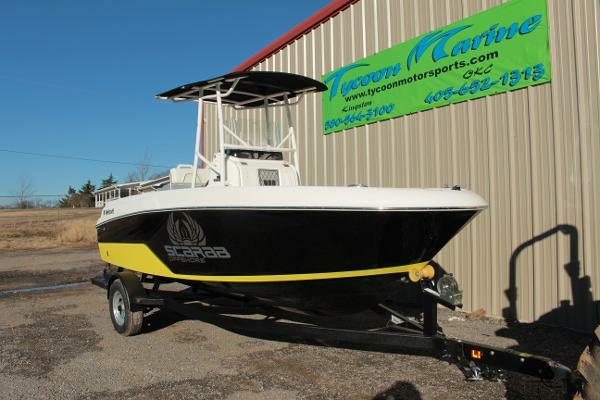 BOAT OF THE MONTH BLOW OUT DEAL! 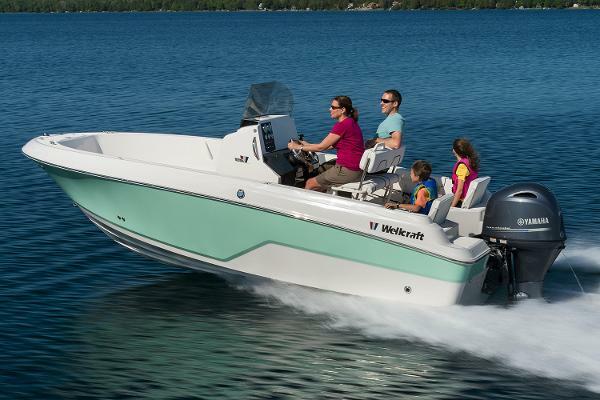 The Wellcraft 182 Fisherman signifies everything you aspire to be as a family oriented fisherman. The stylish bow flare and high freeboard keeps you and your crew safe, dry and comfortable when you're on the hunt. With more than enough space on deck for seating comforts, storage, and 360° casting you'll never feel over encumbered onboard. Up front, an innovative, aquarium style live well nests into the casting platform just behind wet storage and a large anchor locker. 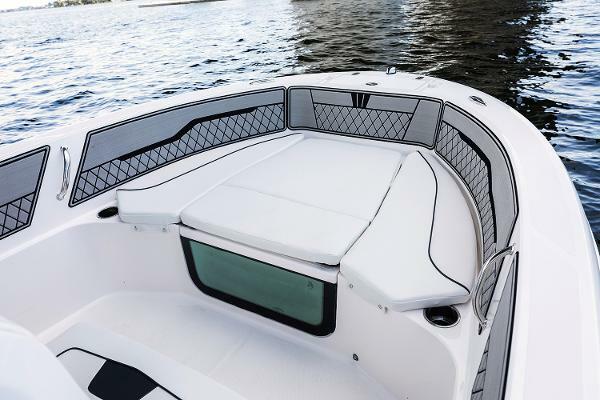 A vertical opening head compartment, typically reserved for larger models, is molded into the center console; essential for onboard rest breaks and advanced excursions. Two cushioned jump seats, aft the helm, make for great seating when deployed alongside expanding the stern casting platform when concealed. Conscious design focused directly on the needs of the family fisherman birthed the 182F and its standard trailer. With the 182F you're certainly equipped for devoted fishing tactics and more than fit for cruising and lounging.